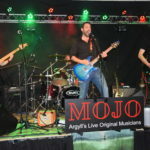 Following the recent outstanding MOJO festival of original music in Ardfern, the Argyllshire Advertiser takes a look at what the leading musical lights of Argyll are up to following their rockin’ display at MOJO. Oban-based Citizen 9 started up in 2012 and have been getting rave reviews ever since, with their slick-edged, stoner rock sounds. 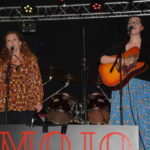 They’re grunge with enthusiasm, with the influence of Nirvana and Pearl Jam obvious to the ear, but their stage presence and energetic music set them apart. 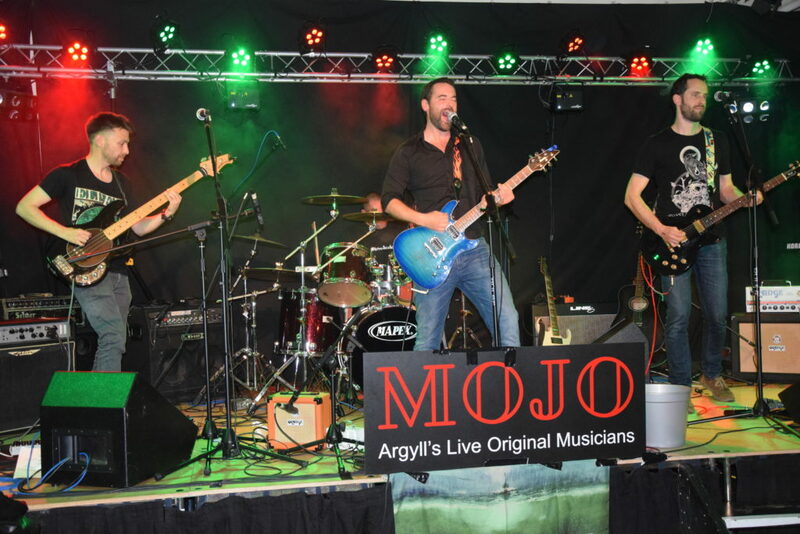 Now considered the loyal OG’s of MOJO, having played at the first in 2017 from their debut ep ‘The Flood’, they again gave a solid set with new material, giving Craignish Village Hall possibly its first mosh pit. The bass and drum components of Colin and Duncan are the driving force behind the grunge/stoner sound, lifting Tom’s excellent and vibrant guitar work to cut through. All while Andy delivers a throaty vocal supply of meaningful lyrics, reminiscent of Joy Division’s Ian Curtis, to complete their sound. 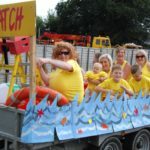 Citizen 9 are working on finishing their first album which everyone is awaiting with eager anticipation. Their ep ‘The Flood’ is still available to buy on the Citizen 9 Facebook page @citizen9.oban and contains four must-have tracks from their trademark origins of melodic, rocking aspirations.